Thomas McFadden joined iSixSigma 6 years, 10 months ago. 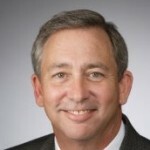 Thomas McFadden is a consulting manager and Master Lean Leader with GE Healthcares Performance Solutions group. He has experience in a variety of industries including healthcare, medical device and pharmaceutical. He has spent over 20 years in quality, Lean and continuous improvement roles, leading initiatives in the United States, Europe and Japan. Mr. McFadden was trained in Japan, and is a student of Sensei Mr. Chichiro Nakao and Mr. Iwata  former Toyota group managers and students of Taichi Ohno. In his current role, he works with hospital executives to determine Lean deployment strategies and how Lean concepts can improve their organizations. He has led over 1,000 kaizen events in hospitals in the United States and the United Kingdom. Mr. McFadden is a certified EMT-P with five years of experience as lead ERD technician, is a certified chemical test operator, has a bachelors degree in environmental science, and an MBA. He can be reached at thomas.mcfadden@ge.com.